Centenary’s biology program offers both a Bachelor of Arts and a Bachelor of Science degree and provides a broad background for both the future biologist and the non-science student. The biology curriculum provides excellent preparation for many professions related to the life sciences, including medicine, dentistry, and allied health fields. Classroom and laboratory experiences are complemented by off-campus research and internship opportunities designed to prepare students for professional and graduate programs. The biology department also offers degrees in biochemistry and neuroscience. Interested in Biology at Centenary? Learn about the program requirements. Centenary is known for its outstanding faculty. The Biology department is home to some of the best! 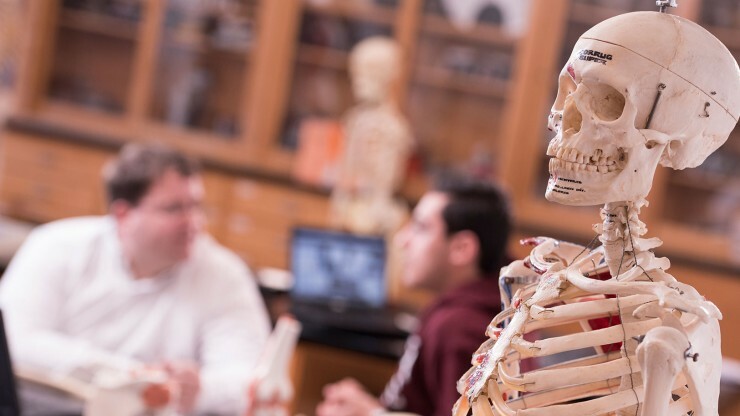 A biology degree from Centenary is the first step that can lead to many other opportunities and programs such as Physical Therapy, Physician Assistant, Occupational Therapy and many more!